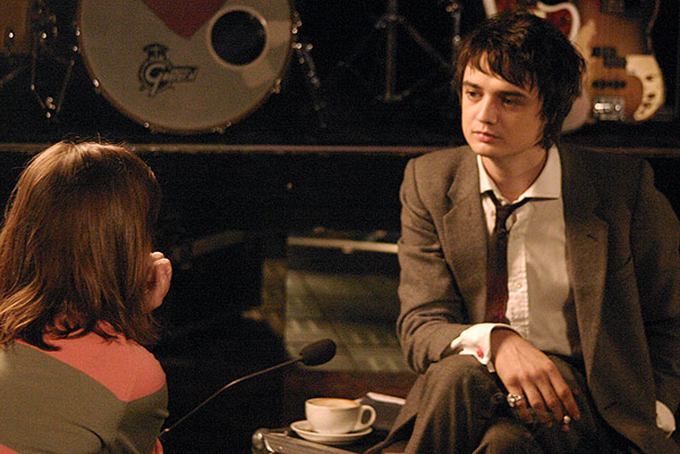 I’ve known Pete Doherty a long time. He’s a musician, a heroin addict, goes out with Kate Moss, gets drunk, beats up photographers etc etc. It seems inevitable that one day the tabloids will announce triumphantly that Pete Doherty has died of an overdose – they are demanding a suitable rock ‘n’ roll ending for this particular life story. But the Arena documentary on BBC2 last night presented a rather less stereotypical portrait of the man. The “junkie boyfriend of the supermodel” is in fact an incredibly talented musician. He’s been responsible for some of the most arresting and influential music in recent years and his lyrics are widely praised as modern day poetry. There’s a hypnotic quality about him – a natural charisma that acts as a powerful magnet to a generation of music lovers. So it seems I didn’t know Pete Doherty after all. I knew a tabloid creation, another wild personality to loathe. His musical talent has been overshadowed in favour of the more dramatic rock ‘n’ roll burn-out. Am I alone in wanting to read about success? About what people do right rather than what they do wrong – the positive rather than the negative? I don’t give a crap about which paparazzi Pete Doherty has floored this week, I just want to know when his next record’s out. Unfourtunately this doesn’t seem to sell as many papers.